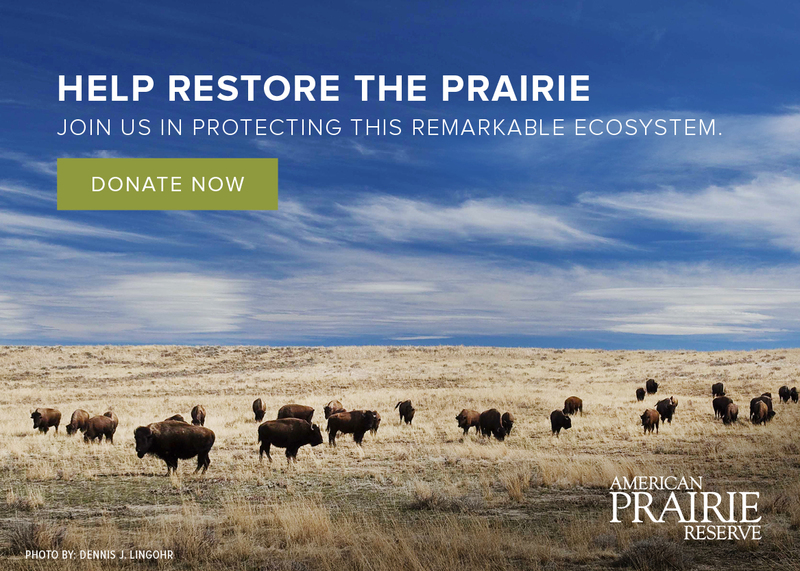 American Prairie Reserve seeks to be a good neighbor to those who call our six-county project region home. We actively work to make a positive contribution to the communities around us by purchasing and hiring locally, building meaningful relationships with local groups and leaders, providing educational opportunities, honoring the region’s rich heritage, and finding innovative ways to contribute to the economic bottom line of ranching neighbors that match our goals for wildlife. 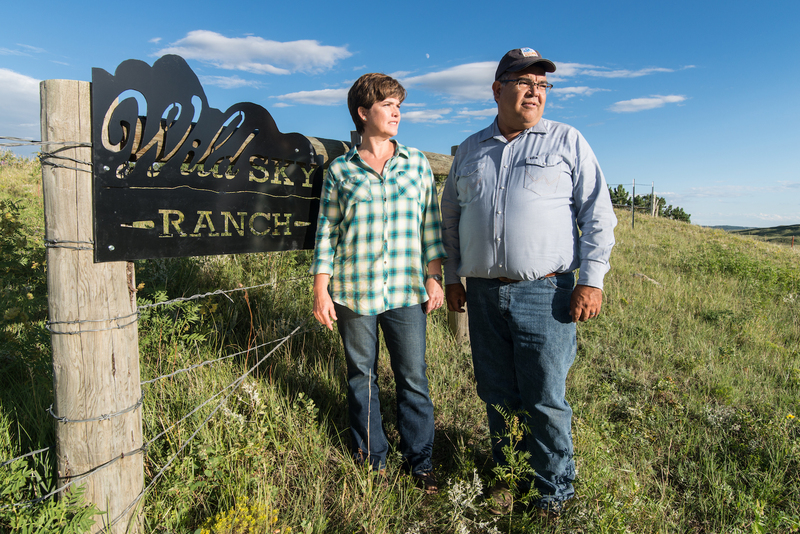 Wild Sky Beef is a for-profit company created by American Prairie Reserve that works with neighboring ranches to encourage wildlife-friendly practices around our boundaries. The purchase adds more than 46,000 acres the Reserve, providing wildlife in the CMR with additional habitat and providing visitors with more opportunities for recreation. Can Wildlife-Friendly Ranching Mean More Than Just Tolerance? The Wild Sky program is rebuilding and reconnecting wildlife habitat outside of the Reserve's boundaries. Read more about Can Wildlife-Friendly Ranching Mean More Than Just Tolerance? Over the last century, the PN has served as an epicenter of tribal life, a thoroughfare for westward expansion, a military hub, and the historic heart of a ranching era. The Montana Preservation Alliance selected Lewis Williams to capture the Upper Missouri Breaks National Monument and American Prairie Reserve as part of the 2016 Reimagine Montana Artist-in-Residence program. In 2015, American Prairie Reserve directly contributed a total of $3.14 million to the local economy. The Great Falls Public Schools Foundation just awarded their first “Dream Big” grant to a coalition of local teachers that will bring 9th grade students to American Prairie Reserve. Thanks to a generous gift from Roger and Rosemary Enrico, the 7,000-square-foot Enrico Education & Science Center opened in Spring 2015.